What do you if you have been forced into retirement. Your company is showing you the door. What now? According to a study by Sun Life Financial, more than 20% of American workers are forced into early retirement by layoffs, cutbacks, and shutdowns. 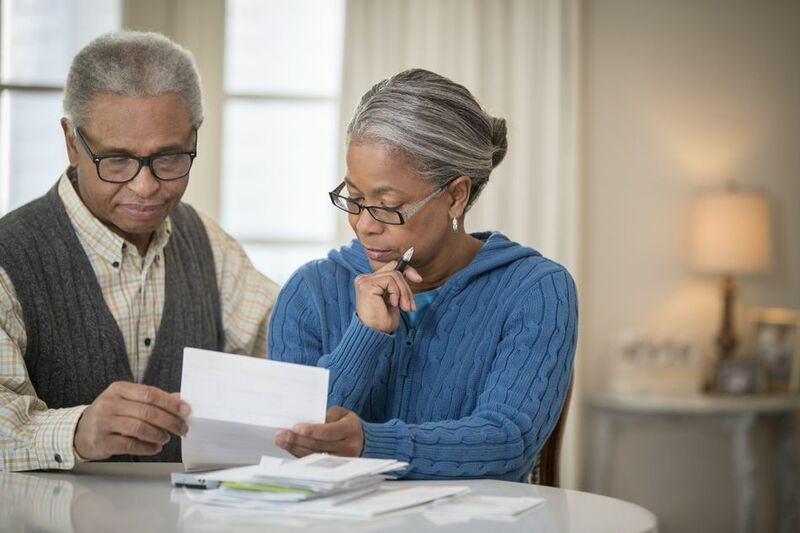 In an age where pensions have gone by the wayside and the future of social security is in doubt, the report finds they often find themselves with half of the expected savings and investments they anticipated for their golden years. Reuters news service points out that the results weren’t entirely surprising: Half were the result of corporate actions with the second leading cause of forced retirement being injury and illness; it also said that family obligations were the reason 10 percent of women left while only two percent of men. In this step-by-step article, we’ll give you some great thoughts on how to deal with forced retirement. How to protect your investments, move forward, and start your new life. Yet, the ramifications are clear: These productivity gains are going to be felt by companies. Who owns companies? That’s right – the individual shareholders; everyone from your Grandma to the local factory worker, and the high-powered lawyers on Park Avenue. If you focus on using your money to acquire ownership of America, Inc. you’re likely to do very, very well over long periods of time. The great thing about this country is that it comes down to individual choice. You can’t start on that journey until you finally concede, deep down, that the only one who can provide for your retirement is you. The single biggest reason people get into trouble when they hit an unexpected financial bump is that they continue to live exactly as they did before without adjusting their cost structure. The same house payment. The same car payment. The same luxuries such as $4 coffees and designer salads. Instead, you should immediately cut out all non-vital expenses, even if you think you can afford them until you can sit down and put pen to paper to get an idea of where you truly stand. Put off your hair appointment, try to walk or ride a bike if you don’t have to drive, and maybe sell that new car and replace it with a nice but used one. The key here is to ensure that your net worth doesn’t start to nose dive because you are living off of savings, burning through cash. You may want to consider picking up temporary work in a lower paying job just to keep your cash flow healthy and protect your family. Whatever it is, the goal here is not a career but to protect your balance sheet by earning enough that, when coupled with your expense reductions, results in you treading water financially. Don't Touch Your 401(k)! Seriously! It's rarely a good idea to take the money out of your 401(k) account early because you are having a short-term cash flow crisis. Given that your withdrawals are not only going to be taxed at regular rates but have an additional ten percent penalty tax levied on top of them – not to mention that you’ve lost all of the compounding you would have earned in the meantime – and the true wealth foregone is absolutely staggering. Building on our last point, it’s an enormous temptation for some people to just cash out of their retirement plan entirely. Again, that would be a tragic mistake in regards to your long-term financial success. One of the best options is to roll over your existing 401k assets into a new so-called “rollover” IRA at a financial institution such as your brokerage firm or bank or deposit the funds into an existing IRA. It won't cost you a dime to perform the rollover, and the new IRA usually has more investment choices than the 401(k). One thing you may want to consider if not offered by your spouse’s employer is disability insurance. This will protect you and your family in the event that you become seriously disabled. Typically, there are two types of disability insurance: short-term which covers anywhere from two weeks to two years, and long-term which covers periods of more than two years. Basically, it replaces your income if you are unable to work as a result of disability, which can help prevent you from having to liquidate your investments and retirement accounts to pay for medical services. Often, in an effort to satisfy shareholders, company management will offer employees early buyout packages, enticing them to retire early in exchange for a predetermined level of guaranteed benefits such as a cash payment, lifetime annuities, etc. This is actually a great tool because it allows those who want to get out to do so at an above-average rate which, in turn, makes them happy while at the same time keeping as many employees as possible on staff that want to continue working. So, how do you know whether or not to take an early retirement buyout offer? Do I love what I do? Am I showing up to work for something more than the money or am I only interested in a paycheck? If the answer is the latter, you might want to take the buyout and retire early. Could I find additional work fast enough so that the buyout can be added to my existing retirement accounts? The cash can be a nice added boost that can actually get you closer to your financial goals if invested wisely. How certain am I that if I do not take the buyout offer, I’ll be laid off anyway? Often, workers that do not take early retirement buyout offers and are laid off leave with a fraction of what they would have otherwise received. Unfortunately, this is merely a game of odds – do you have what the company is looking for by bringing specific skill sets that are not widely held by other staff? Would it be cheaper to eliminate your job and replace you with a lower paid employee? Are you in a financial position to take that risk? If not, you might want to consider the buyout offer and retire early. This is the hardest part. Many people view their work as an extension of their identity. They cannot separate their own intrinsic value and self-esteem from that which they do; the painter gauges his success on the reception of his community, the opera star on the ovations shown by the audience during curtain call, the business manager on the profits he turns into his boss, and the factory worker on the quality of the product he produces. When someone suddenly comes to you and says, “Thanks, but we just don’t need you anymore,” it can be devastating on not just a financial level, but an emotional one.